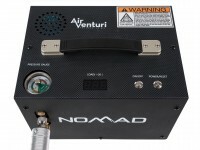 Air Venturi Nomad II 4500 PSI Portable PCP Compressor. Compressors. Click to get email when it's in stock! Place your order now for delivery priority! Noise level while running is 92 dB. 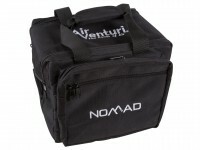 Dimensions: 10.6" L x 8" W x 7.9"
Please Note: The Nomad II is recommended for filling PCP guns only and is not to be used for breathing air. Wave goodbye to scuba tanks and handpumps forever with a compressor built to go anywhere you can—the Air Venturi Nomad II. 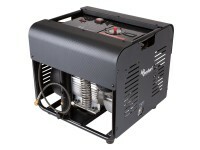 Boasting big features in a small package, the Nomad II is a compact compressor that can be powered from any 110 or 220V outlet. But don’t feel the need to stay put! 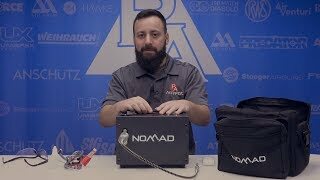 If you have a car, you have a fill source, as the Nomad can also operate from a 12V car battery—a real lifesaver for PCP gunners filling up at the range or in the field. No matter where your airgunning takes you, the Nomad II will keep you aired up and ready to shoot. 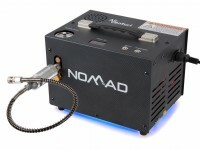 If that wasn't enough, the Nomad II has built in LED lighting on the bottom of the unit, so even when light is fading, your air supply never will. And with the addition of the built in power supply and the included travel bag, the Nomad II is easily the most portable air compressor on the market. 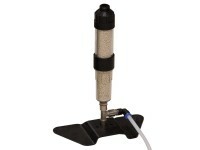 Whether filling a PCP airgun from empty or just topping off, the Nomad II fills quickly and efficiently. 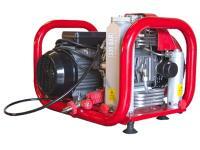 When tested, our Nomad II was able to fill a 250cc cylinder from 0 psi to 3000 psi in as little as 9 minutes. 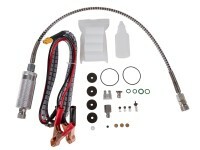 The adjustable, automatic shut-off allows you to set the compressor to the exact fill pressure of your gun (up to 4500 psi) and the unit stops when that pressure is reached. 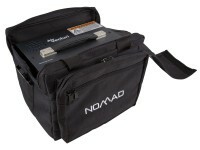 The Nomad II lets PCP airgunners break free of stationary fill sources forever! 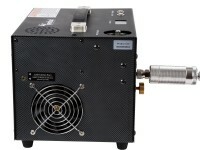 Become your own mobile air powerhouse with the Air Venturi Nomad II Compressor. Things I liked: Quick, simply! Things I would have changed: This Price needs a better warranty!! What others should know: No more hand pump deaths. 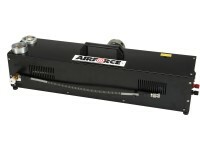 Things I liked: Have been using this compressor to fill my AirForce TalonSS and my FXWildcat. With the help of PyramydAir staff and the purchase of one adapter was able set up both guns with quick connects. Have been using a hand pump for the past 7-8 years and decided it was time to up grade as I have now had my 71st birthday and it was starting to bother my shoulders when I would have to pump. I was avoiding doing the shooting I wanted to because of the hand pumping. Very happy with this compressor so far and realize I will be buying more pellets soon. 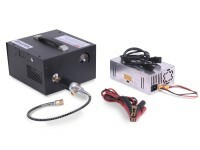 There are other compressors out there from other manufacturers and sold by other airgun shops, even some very cheap ones from china that seam to be working but I went with PA because of the service and warranty if I have a problem. What others should know: Be sure to check the oiling hole connection on the compressor. When I unpacked and inspected the compressor I found a small silver grommet wedged in the hollow bottom of one of the rubber foot pads. 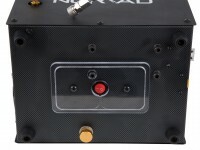 When looking at the small hole in the side of the case where the oil is supposed to go I could not see anything connected. When I took the case off, the plastic tube that goes to the compressor was hanging loose. I realized that the silver grommet was used to connect the plastic tube to the outer case for the oil hole. 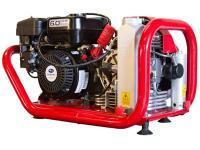 By the way this is also the air intake for the whole compressor so be sure this is open and away from dust and debris. when i start the cooling fan switch pip sound keep coming and the digital gauge show " L " what is the problem. The unit is not receiving enough power. Make sure it is not set to 220V if you are in the U.S and or try a different power source. If neither work call Airventuri. Tyler in a pinch (say you've used up all of the filters) could you use a hair dryer to dry out a filter for further use? What is the duty cycle? max 15 minute run time. this is only to fill guns, not tanks. from what i have seen, it takes 5-6 min to fill a gun. not sure how long it has to rest between uses.